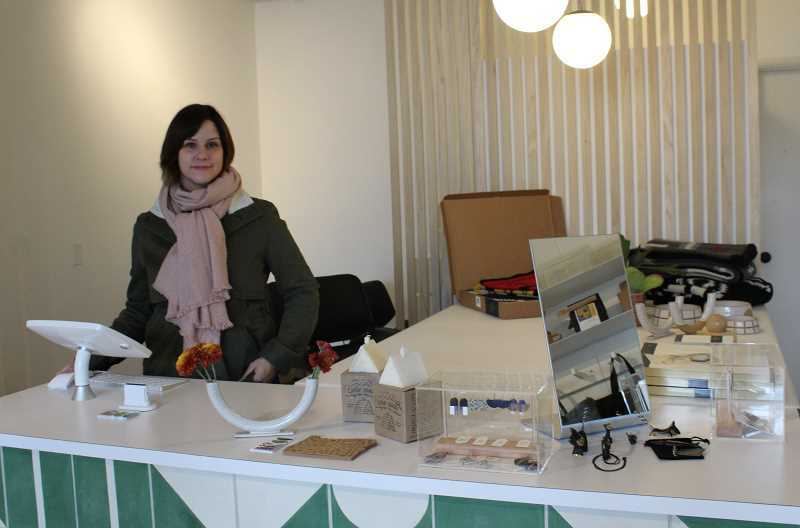 Forest Grove resident wants to bring quality products to town with the newest store on the block, The Department Store. 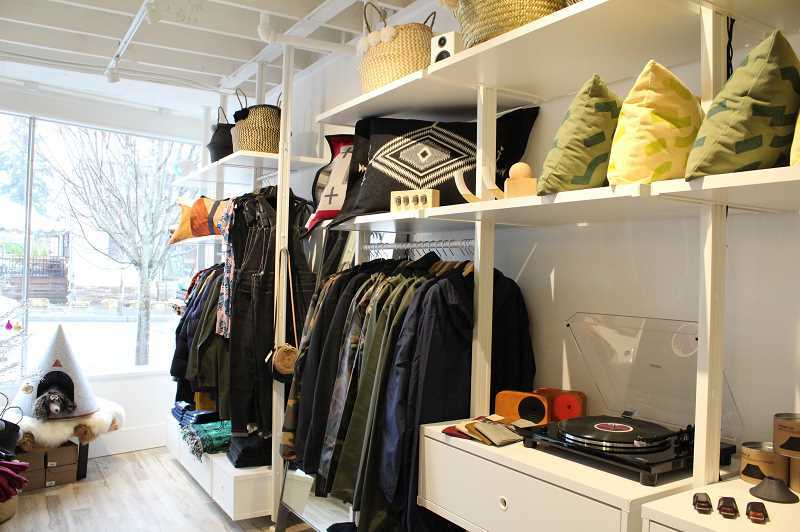 The newest shop on the block in Forest Grove, The Department Store, opens its doors officially to the public this week. Owners say the unusually named store will bring items that emphasize craftsmanship to Washington County. Nestled on 1918 21st Ave., the store plans to celebrate its grand opening celebration on Saturday, Dec. 8, from 3 to 7 p.m. The store offers an eclectic variety of products, featuring everything from pottery, to toys, apparel and jewelry. Local artists from across the Pacific Northwest are on display throughout the store, all with an eye-catching detail to them, store owner Jessie DeSue said. The Department Store is home to brands familiar to Oregonians bracing for cold weather, including Herschel bags and Levi's clothing. When DeSue set out to find items for The Department Store, she looked for three ingredients, she said: functionality, beauty and quality. "I love everything in here and that is why I picked it. Nothing is in here by accident," DeSue said. "I feel like there is an element of fun things that make people happy." DeSue has big plans for The Department Store, which she hopes becomes a brand in its own right. DeSue envisions wholesaling the store's exclusively made products to sell to other stores as well. She plans to design and make clothes in-house. The store's online shop and social media sites will launch in the new year, she said. "I am hoping to bring some diversity and give people access to things are not available out this way," DeSue said. "I feel like even in Hillsboro, they may not be available." As for the unusual name of the store, it felt "right," DeSue said. "It enables us to hold onto our own brand while bringing in other brands," DeSue said. "I have an interest in design and home décor. This gives me an excuse to do it. It made sense to me." DeSue moved to Oregon in 2001 with a resume sporting apparel design. She graduated the Art Institute of Portland in 2009 and later went on to work downtown Portland at the Swedish brand Dunderdon. "I worked there for a long time to do women's design, and they opened a store in Portland and I helped to open it," DeSue said. "I have that experience under my belt and that helped with this." DeSure and her husband, along with their two children, moved to Forest Grove two years ago. "We were ready to get out of the city," she said. "We both grew up in small towns and it was definitely a comfort zone for us … It is a wonderful place. Honestly the big inspiration is being at home with my kids for five years." DeSue applied for the city of Forest Grove's Storefront Improvement Grant, and was granted funds to help out the beginning of the space. "It was instrumental to get us started," DeSue said. "From waiving our business license fee and little things that really add up that gave us a sense of support." The store's colorful commissioned mural on the side of the building and the lighting also were supported by the grant, she said. "There is really good culture here (in Forest Grove)," DeSue said. "It is thriving right now, the city has strong programs, there just seems to be a sense of community here." The Department Store will be open Tuesday through Sunday, 11 a.m. to 7 p.m. The store's grand opening event this weekend will include a sale on several items, a gift card raffle and a free tote bag for the first 15 customers. Customers have already popped in to introduce themselves and welcome her to the community, she said. "It is seriously heartwarming," she said. "The sense of community here is great. I came here and I instantly had networks of people I became close with easily. It is a major transition to do this, but I can also lock the door and pick up my kids (from school) when I need it."